Showing results by author "Rosanne Cash"
For 30 years as a musician, Rosanne Cash has enjoyed both critical and commercial success, releasing a series of albums that are as notable for their lyrical intelligence as for their musical excellence. Now, in her memoir, Cash writes compellingly about her upbringing in Southern California as the child of country legend Johnny Cash; her relationship with her mother and her famous stepmother, June Carter Cash; and her own development as an artist. 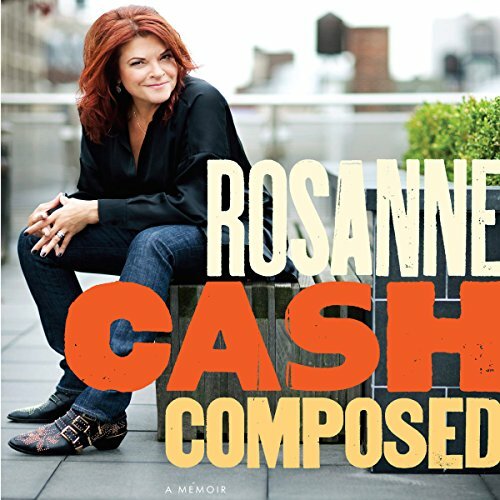 "Driven by a deep love and obsession with language, poetry and melody, I had first wanted to be a writer, in a quiet room, setting depth charges of emotion in the outside world, where my readers would know me only by my language," writes Rosanne Cash in Composed, her new memoir. "Then I decided I wanted to be a songwriter, writing not for myself but for other voices.